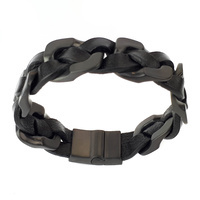 Stylish and edgy. 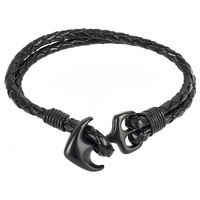 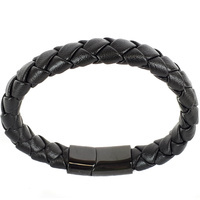 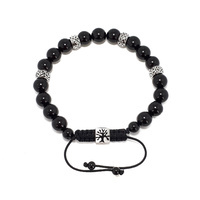 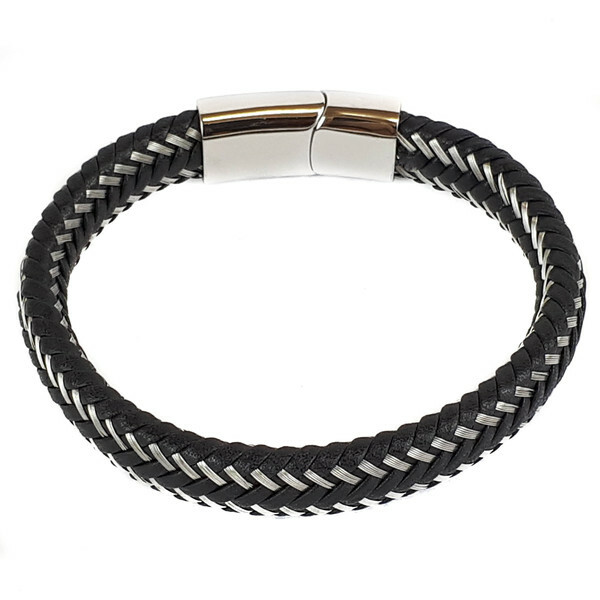 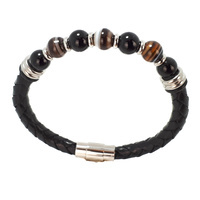 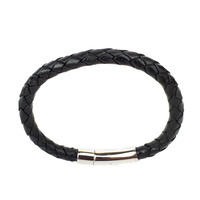 This mens bracelet is sure to compliment any outfit. 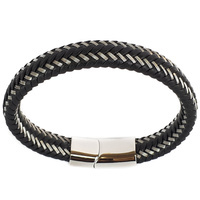 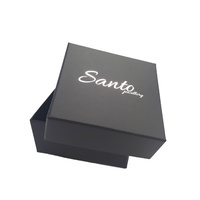 Featuring stainless steel weaved through black leather finished off with a stainless steel magnetic slide clasp.